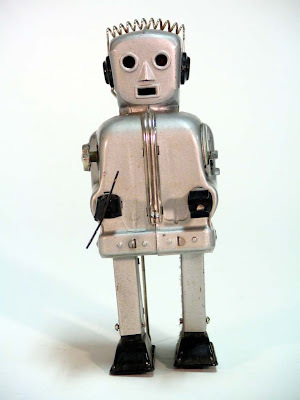 Clanky's robot collection failed to garner a bid at $66,666.66 and an offer of $20,000 was kindly declined. I have no idea how much this collection is worth but it certainly is fun to look at. 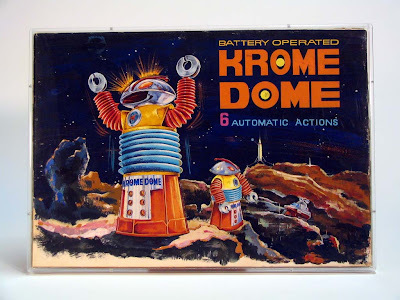 My favorite object is the original box art for Krome Dome. 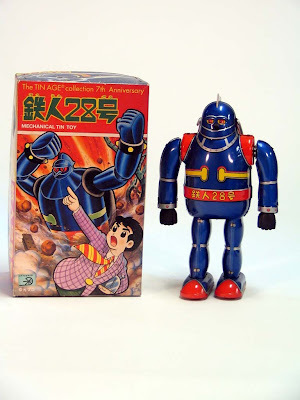 I really think the robots, toys and artwork of the Japanese tin era was almost infallible. This is not drippy nostalgia for cloyingly innocent times, these guys were really at the top of their game. The colors, clarity and imagination of bold space frontiers is really inspiring. Here is a wonderful offering to help all you "comprehensive" collectors round out your collections! 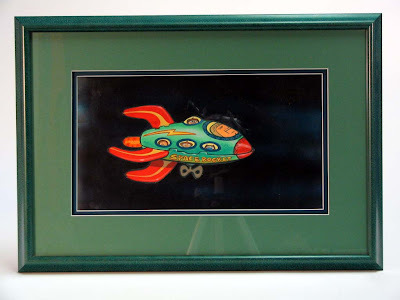 There are some extremely rare pieces in here, along with some one-of-a-kind "art" items, too! Note the original and period Krome Dome painting, complete with factory Yonezawa markings on the side and Kanji verso!! 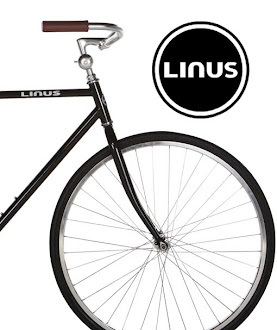 Comes in custom plexi frame! Ren and Stimpy weigh in with their fantastically rare and climactic cel from Space Madness, complete with Nickelodeon authentication! Both the Krome Dome and Ren and Stimpy pieces are impossible to find anywhere else-- because they are the only ones that exist in the universe! 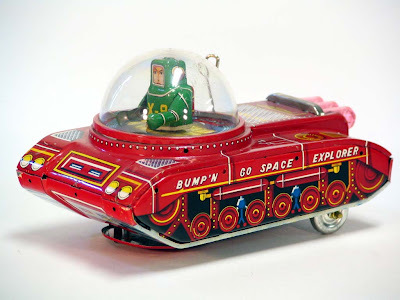 Who's got the "New Space Tank" in their collection? 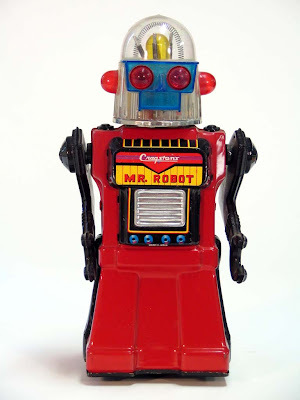 Or the unique Alps Television Spaceman with the scrolling Robby The Robot space scene in the chest? 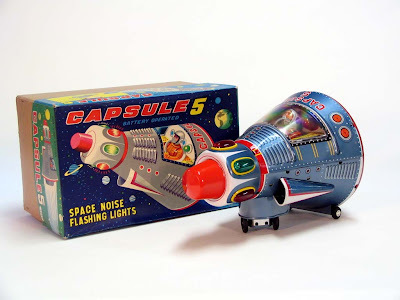 The Masudaya Capsule 5 is perhaps the finest combination of mint box and toy (complete with inserts) that I have ever seen! 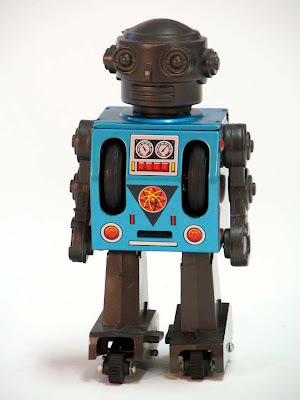 Japanese Robot Collection on eBay (via I. Z. Reloaded) Thanks, super-recommender Marilyn!